Did anyone get any black Friday sewing bargains? 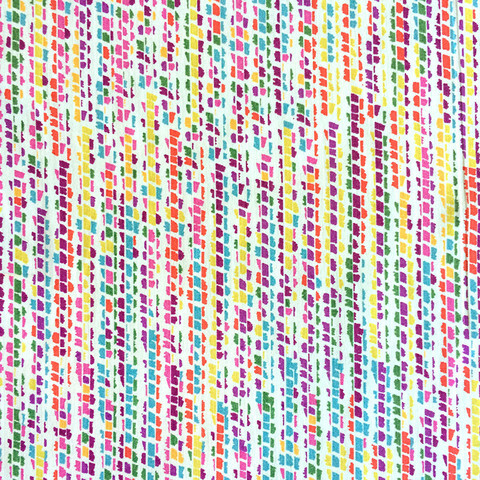 I bought a couple of pieces of fabric on sale which I’m looking forward to receiving. 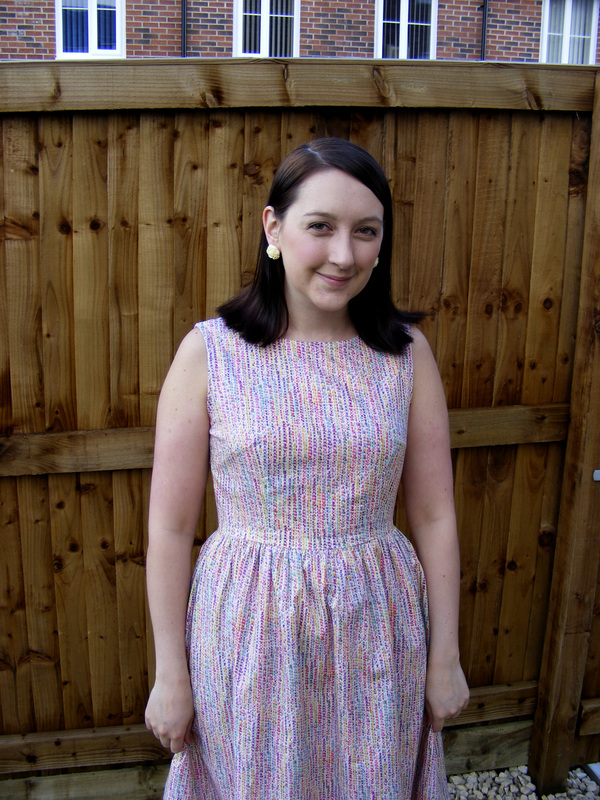 Today I’m sharing my attempt at an Emery dress. And I’m not sure it’s my best work. See what you think. 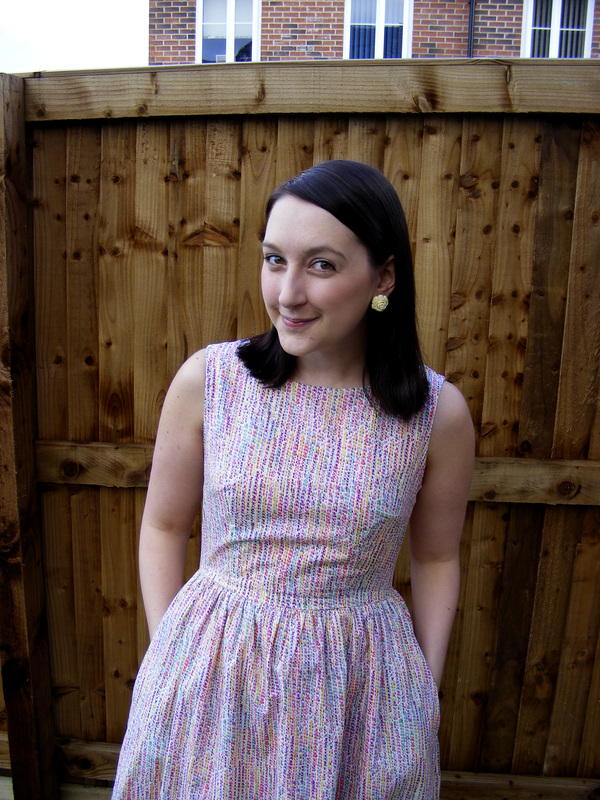 I bought the pdf of Christine Haynes Emery Dress when she offered it at 20% off. I’d been itching to try it out as I thought it would be the perfect silhouette for me. 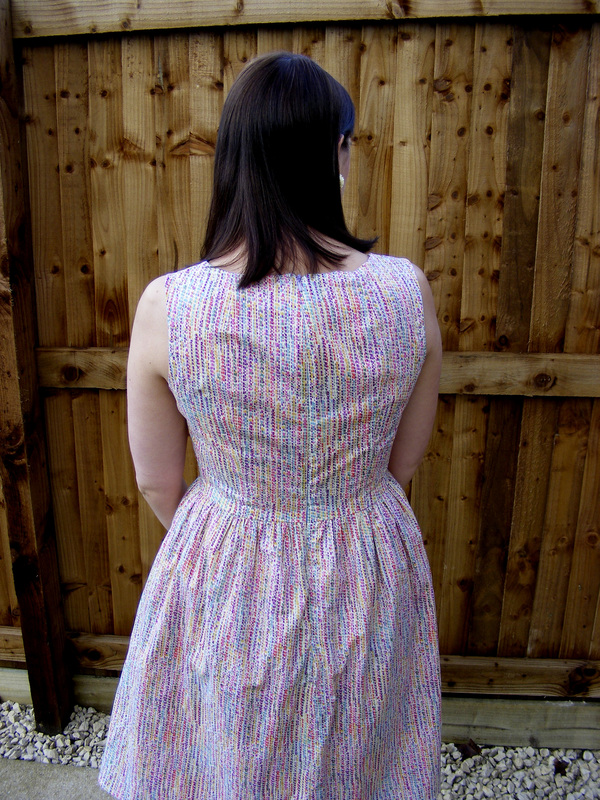 I used a Liberty print cotton called Milla in colourway B. It’s just happy colours and makes me smile when I look at it. I bought it from Classic Textiles on Goldhawk Road on a shopping trip with some lovely sewing ladies in August before we went to see the Jean Paul Gaultier exhibit. Happy memories! So that’s why I’m pretty gutted this turned out as such a wrinkly mess! I made a muslin as always. I made two in fact. But when I cut into my liberty it didn’t fit?! I had to take it in at the shoulders and try and adjust my darts after construction. I hate it when that happens. I used up the last of my good pink polyester for the lining so at least it feels nice to wear. Plus something about the neckline is throwing me off. I think it’s too rounded and not boat neck enough on me. I’m so fussy I know. I’ll still wear it of course. And I’ll probably try the emery again. I’ll just have to muslin it again to get it spot on. Sigh… onto bigger and better projects right? I think you are being too hard on this dress! The pretty print tends to negate the slight fit problems. Lovely! I think it looks great, there are only a couple of pull lines and I bet it fits you better than rtw! Analyzing from photos is a bit tricky, but here are some things to look at if you decided to muslin/sew this again. Is the bodice just a little too long? It seems that it might be (after examining both your front and back shots) and that it needs to be shortened to end at your natural waist. Second, where are the side bust and waist darts ending in relation to your bust apex. Again hard to say, but you may need to lower the waist ones and shorten (and perhaps drop the side ones). Make sure the darts are ending some distance back from the apex. They need to point to it but not actually touch it. Thank you! I’m normally quite successful with fit so I just need to learn from this and move on. At least because I love the fabric I know I’ll wear this lots! First of all, I agree with everyone else, the dress is adorable!!! You’re being tough on yourself, but I think that can be a good thing when you want to make more of the same thing and you are eager to figure out what went wrong so you can fix it next time! I think there might be a couple of things going on here- first, I blame a lot of your wrinkles on your choice of lining. If the lining is pulled tighter than the exterior, the outer layer will bag a bit, and since your lining doesn’t have any give because it’s poly, it could be making the outside baggy. So perhaps see about loosening the lining next time, or use a fabric closer to the outer fabric. Also, I agree with the bust dart comment, as they look like they are a little long for you. You might try a SBA! The neckline, well, that’s the neckline, it’s not a boatneck 🙂 Thanks for posting your dress and it is really great!!! Thank you for taking the time to comment! You made me think, every time I’ve sewn liberty before I’ve either used facings or silk linings so the heavier and unforgiving polyester could definity be the bad element in the mix. I was pretty happy with my darts as they matched my bodice block but no harm in reassessing on my next go! Lovely dress and you look great in it! I agree that it could be the polyester lining rubbing up against that super lightweight liberty fabric.No reason to keep it in the closet though, I hope you do wear it!! Thank you! I think I agree. Seems like I ploughed ahead because it was nice lining without thinking about how I’d lined Liberty in the past. I’d have never have used such heavy and unforgiving lining on other liberty makes, why did I now!? Thank you! It’s such happy colours. I know it’ll get lots of wear! How annoying when you used such lovely fabric. I agree with the others because of the print I doubt non-sewers would even notice. I hope it doesn’t stop you wearing it though as it still looks great. Thanks for that! It’s funny what we obsess over! I’m definitely going to keep wearing it. Too pretty not to! Oh man, I hate when the muslin fit is different from the final! That’s happened to me a few times and it’s quite annoying. This is such a sweet print and even though you’re bothered by it, it’s really a cute style on you. I hope you’ll still wear it! That must be so gutting when your finished item doesn’t fit as well as your muslin. Definitely think you’re being hard on yourself though (although I suppose we’re all guilty of it!) as non sewers wouldn’t notice any of your fit niggles. It looks likes a very cute dress. I really enjoyed reading Christine Hayne’s comment too – hadn’t considered that the lining could be causing some of the problems.